The late kick off today sees Gooners everywhere still riding the crest of a wave originating from Arsenal’s 3-0 thumping of Manchester United in their last league game before the international break. The second international break of a season hardly begun may yet prove to be a spanner in the works of an Arsene Wenger side so often relying on confidence to lure out their best play. With rhythm disrupted just as it was gained from the thumping of their great rivals from Manchester, Watford boss Quique Sanchez Flores may yet hope for more than a fraught point from another match they are wholly expected to struggle in. If this match had followed the United game a little closer than it actually has, then the swagger and guile that was exhibited when carving open the Red Devils rearguard would most likely make another appearance. With such a large gap between proceedings however, it is almost like starting afresh and Arsene Wenger will hopefully have drilled this into his squad. Another potential hiccup for the Gunners is the mean defence of the Hornets. Boasting the same amount of goals conceded as their opponents in second place, it seems strength can be found in numbers as Flores’s men will look to contain and spring a counter attack. At the fulcrum would Troy Deeney and Odion Ighallo. The former has yet to get off the mark but his value to the team effort cannot be underestimated. His assists and hold up play for his strike partner Ighallo to capitalise on has been at the forefront for Watford already gaining ten points and this will be vital once more against a side that will prize possession above all else. Arsene can breathe a sigh of relief after his players returned relatively unscathed after they went away on international duty. In the past this has reaped only injuries and heartache for his players but with the majority of his squad flying to all corners of the globe, only Sanchez presents a worry, although it appears that he will play some part. The problem though, is that Alexis is in the form of his life. Nine goals scored in just five games for club and country represents huge dividends and a welcome return to form this season after starting this campaign a little coldly. This red hot form will only serve to infuriate Wenger seeing as the mild hip injury the Chilean picked up in the 3-0 win against United could have been exacerbated thanks to two full games for Chile. Only a fitness test will see if Alexis will be rested. On this form though, if there is a chance he can play, then the South American will no doubt be on the teamsheet. Another Gunner who faces a fitness test is Laurent Koscielny. Having missed out against Manchester United and both French international fixtures, this cessation could be vital for Koscielny’s hamstring to recover. If not, then Gooners can rest assured that in Gabriel and Mertesacker, they have a pairing that can quell even the largest of uprisings. Mertesacker himself has recently missed games but slotted back into the side with nary a raised eyebrow. His experience alongside Gabriel steadies the ship at the back and allows Gabriel to utilise his pace and power to greater effect, safe in the knowledge that the giant German has things covered if things go awry. 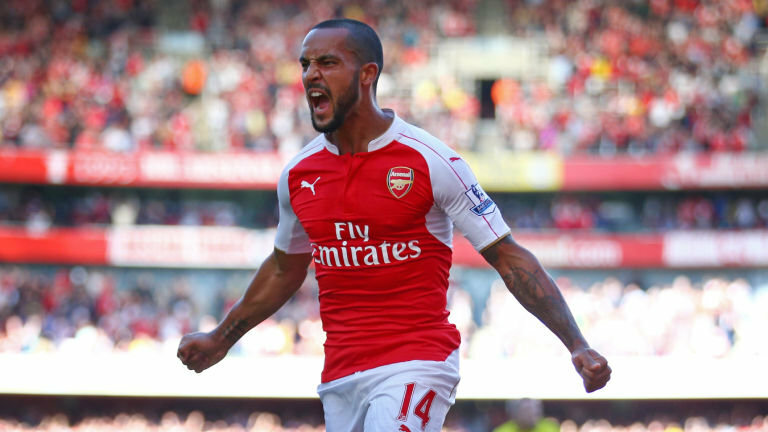 Theo Walcott is another who is enjoying a rich vein of form and carried this on in the international break. His trial by a jury of 60000 continues but the jurors cannot be anything other than impressed with his workrate, his improved awareness and ultimately – his goals. Assisting our rapid centre forward with the ammo necessary is a confidence-fuelled Mesut Ozil. His recent outings have suggested that he is in tune with the players his sumptuous passes are meant to find and this can only mean more goals plundered for Theo. A positive air surrounds our club after suffering so often at the hands of Manchester United. A single win and it leaves us in second place and only breeds more vivid dreams of league success. If we are to achieve this, then matches like tomorrow have to be navigated. In the press conference on Thursday, Arsene stated that Jack Wilshere is still ‘at least a month‘ away from full training and Danny Welbeck will be missing until the end of January. Massive blows for both players but if we continue to play as we did and manage our squad in the right manner, then their absences will not leave as big an aperture as we had feared. 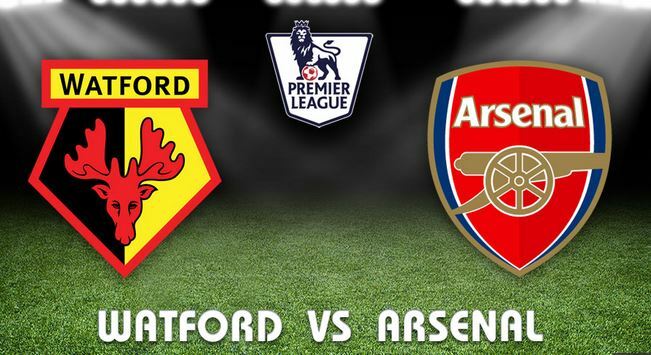 A trip to Vicarage Road in the past was a surefire three points and a chance at a shedload of goals to enjoy. Whilst we are indeed favourites, Sanchez Flores has his side singing from the same hymn sheet. The defence is no longer porous and some astute signings have given the Spaniard the appropriate tools to manufacture a side that is resistant to the jaws of relegation. It will be a match we expect to win, but with added pressure to keep pace with Manchester City, a squad that will need rotating and an opponent fully aware it can make life difficult for any side – then a prediction for a result will be a shot in the dark ( although I did successfully predict the United scoreline ). Double-Winning Captain Frank McLintock – Interviewed Here! 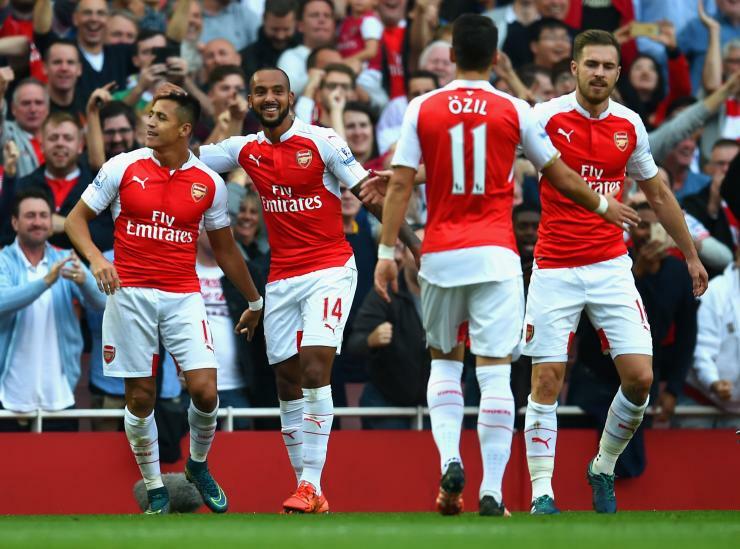 Arsenal 3-0 Watford – Testing Times but Class Prevails. A Match Review.